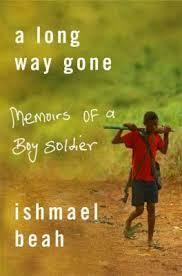 After reading A Long Way Gone, it is clear that Sierra Leone has suffered a devastating loss of hope. It is my dream, and hopefully yours, too, that we can help rebuild this hope. To do this we must begin by providing the means for the two most necessary elements of life: compassion and clean water. You can do both of these by donating. Your generosity and compassion are greatly appreciated! “When I was young, my father used to say, ‘If you are alive, there is hope for a better day and something good to happen. If there is nothing good left in the destiny of a person, he or she will die.’ I thought about these words during my journey, and they kept me moving even when I didn't know where I was going. Those words became the vehicle that drove my spirit forward and made it stay alive.” -"A Long Way Gone"
04/10/15 NKosi Alexander-Williams $10.00 Blessings! 03/30/15 Hannah Doreus $50.00 Jesus loves you.